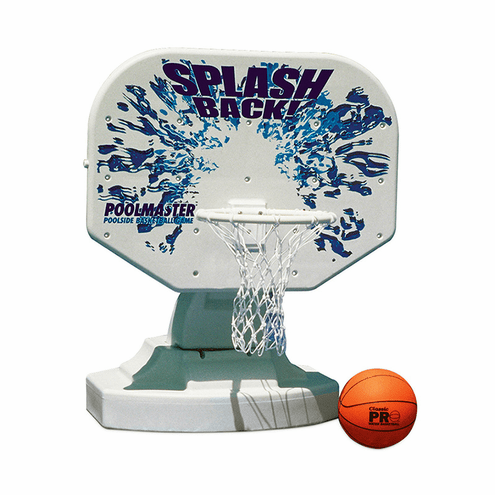 All weather hard-body Polyform backboard. 34" wide by 25.5" high. Overall size approx. 34" wide x 45" high x 38" deep. Rugged 14" hoop with net. Base can be weighted with water or sand. Classic Pro basketball game ball with inflating needle included. Great for Inground swimming pools or Above Ground swimming pools with deck area.